Most of us take for granted that those rectangular green slips of paper we keep in our wallets are inviolable: the physical embodiment of value. 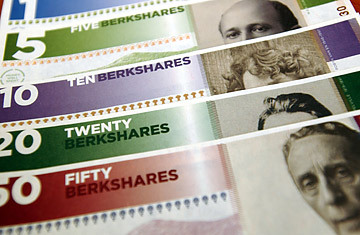 But alternative forms of money have a long history and appear to be growing in popularity. It's not merely barter or primitive means of exchange like seashells or beads. Beneath the financial radar, in hip U.S. towns or South African townships, in shops, markets and even banks, people throughout the world are exchanging goods and services via thousands of currency types that look nothing like official tender.